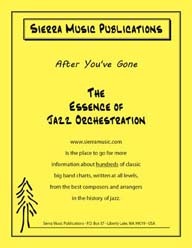 The Maynard Ferguson Band performed a lot of Abene's charts over the years. 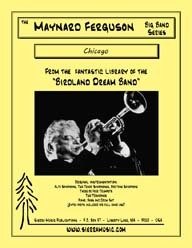 Chicago is a high-energy, big band bebop arrangement on the popular standard that Mike wrote for Maynard Ferguson's band. Another great chart from Maynard Ferguson's Birdland Dream Band Library. Another great chart from Maynard Ferguson's Birdland Dream Band Library. This is a great, HOT chart from Maynard's Dream Band book. The Maynard Ferguson Band recorded this on their Come Blow Your Horn LP.